Get ready to FLY with Cambridge Circulo Verde! 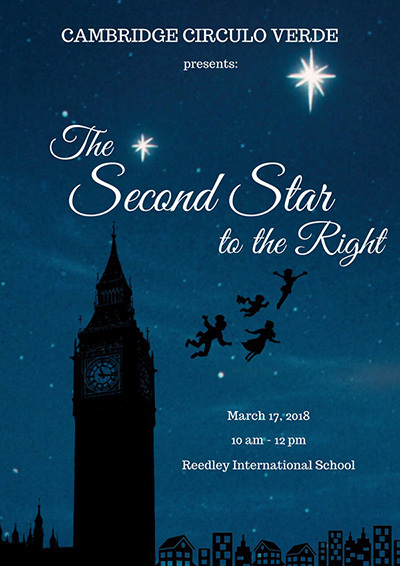 Cambridge Circulo Verde presents “The Second Star to the Right” on March 17, 2018, 10am – 12pm, Reedley International School. See you there!